While dressing up for the office isn't something I have to do anymore, my first job out of college I was required to dress business casual and on Friday's, jeans were allowed. For me this meant lots of dresses, blouses, sweaters, and in the rare instance, dress pants. 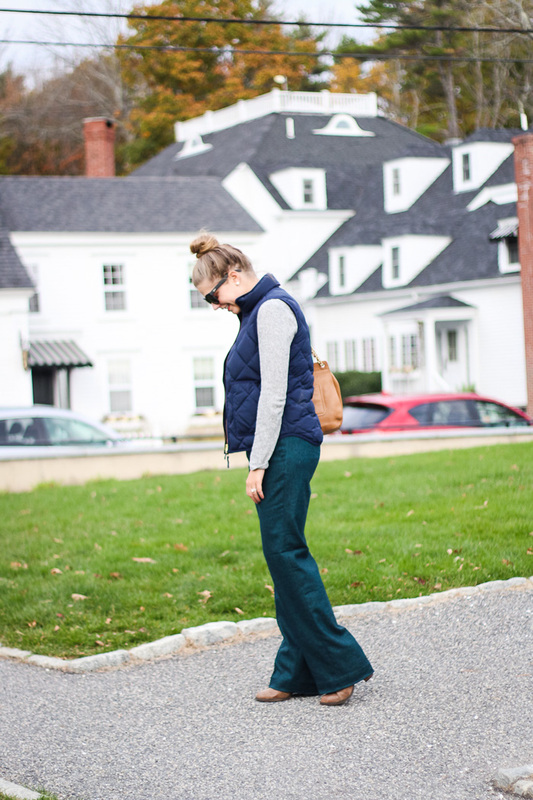 The office I worked in was very cold and if I had these wool dress pants back then, I know they would have been a weekly wear in the colder months. I love that the color is not a usual color you would see in dress pants, it makes them more fun and youthful in my opinion. 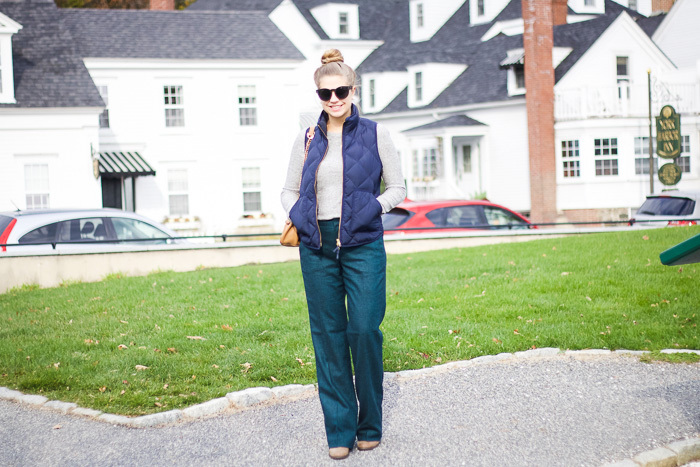 To keep the look more fall appropriate, I added one of my favorite light sweaters for the season and my go-to down vest. 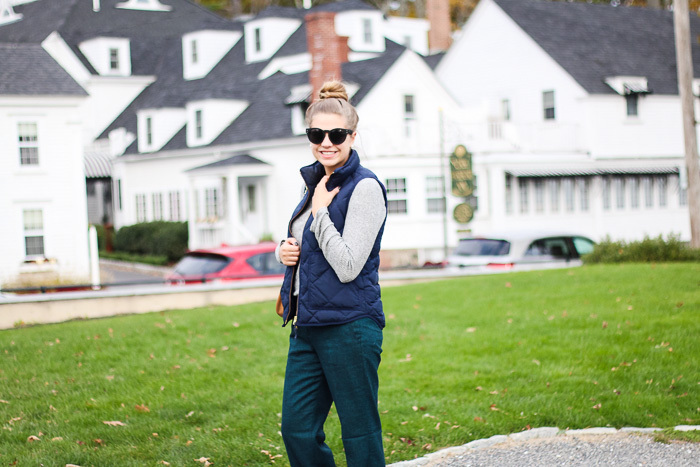 While this might not be a "typical" business casual look and might not work for everyone, it definitely would have worked in my office and is similar to what I used to wear! The second look is something I would have worn on Fridays or tried to get away with wearing during the rest of the week. 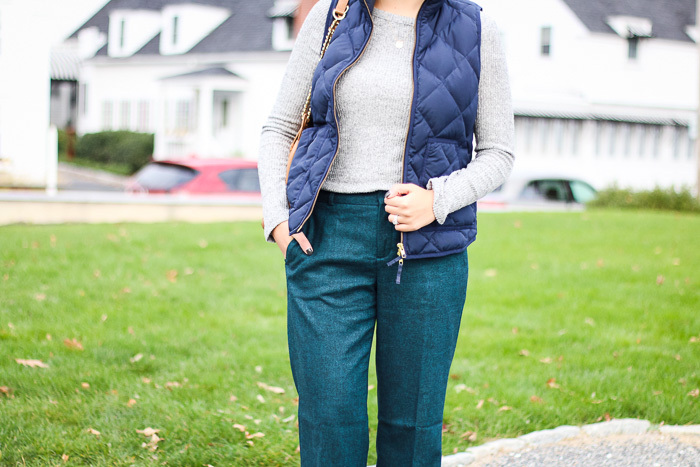 These flare jeans are more dressy in my opinion and when paired with a silky blouse, could pass for business casual, depending how strict your work environment is. 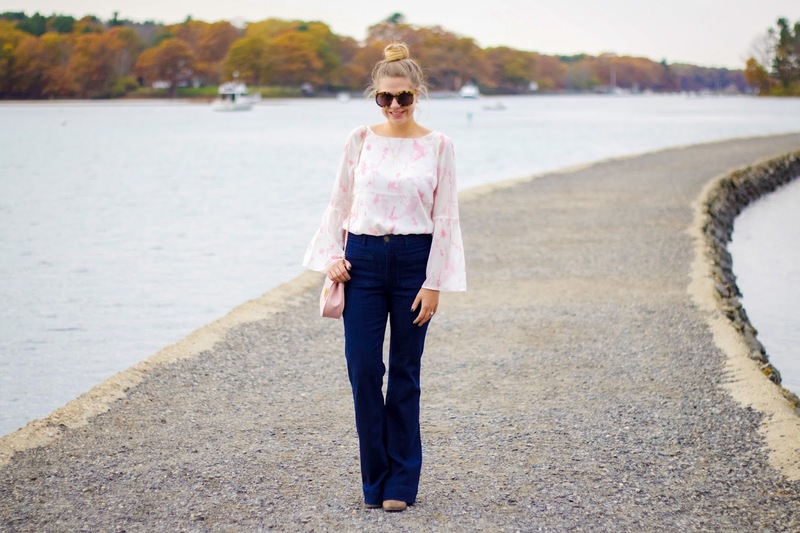 I am loving the bell sleeves on this blouse, especially paired with the flares, they are so fun! I am already souring the internet for more bell sleeve items to add to my collection. This blouse can be worn tucked in or out but I choose to tuck it in to allow the sleeves to stand out more. The subtle pink print could work for any season, making this piece a perfect investment to add to your "work wardrobe". I know for me, I used to try to purchase pieces that I could mix and match all year round rather than buying work clothes for each season. Personally for me, I didn't wear the work clothes outside of my job, so keeping my work wardrobe interchangeable was a must! However, I would have totally worn this blouse outside of work or to cocktail hour after work, it's so cute! Thanks to Banana Republic for sponsoring this post.